Concussions are an incredibly common occurrence in sports. In the 2008-9 school year, over 400,000 brain injuries were reported as a result of high school athletics. That’s worrying when the headlines are filled with news of NFL athletes suffering debilitating mental problems caused by head injuries, such as early-onset dementia and Alzheimer's. Thankfully, modern technology can help reduce the number and severity of concussions, especially amongst younger players just learning a sport. To that end, Riddell, the official helmet manufacturer of the NFL, has just introduced the Riddell InSite Impact Response System. It’s an advanced set of sensors, mounted in players’ helmets, that helps high school and little league coaches track impacts and their severity. 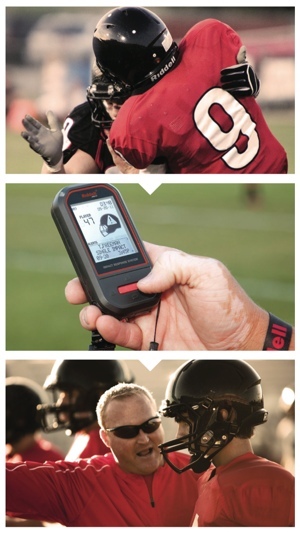 The idea behind InSite isn’t to just measure concussions, it’s to prevent them from happening in the first place. If the same person is getting hit in the same place, a coach will have the data to advise changes in play and stance to avoid these blows in the future. If a player takes an unseen hit, coaches will be immediately alerted so the player can be treated. This new technology isn’t cheap, though protective sports gear seldom is anyway. It’s only available to teams, so if you’re interested, you’ll need to talk with your coach and other parents to arrange a team buy-in. For more on Riddell's InSite Impact Response System, and to request more information about getting your team on board, visit Riddell's website.